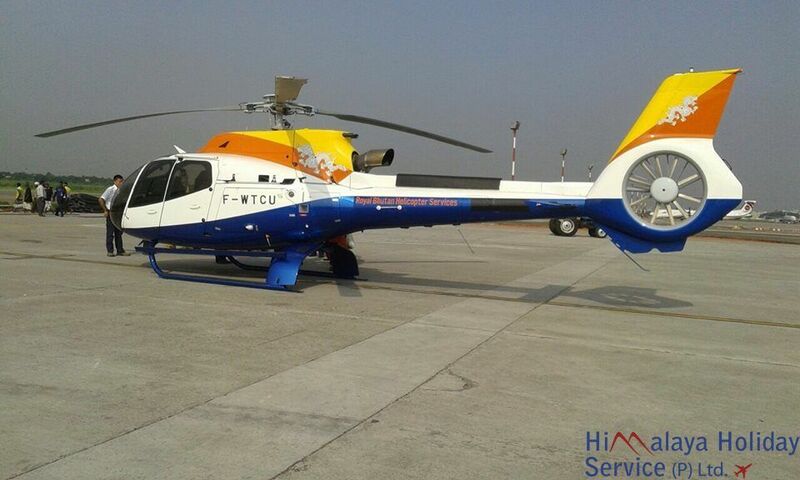 Bhutan has received the first helicopter which is scheduled to begin its service on November 5. The H130 aircraft, from Airbus Helicopter, was expected only on November 4. The helicopter assembled, painted and tested in Singapore, flew through Thailand, Myanmar, and Bangladesh, before landing in Gelephu (Gaylegphug), Bhutan. The aircraft refuelled in Gelephu (Gaylegphug) and flew to Paro to receive a welcome. 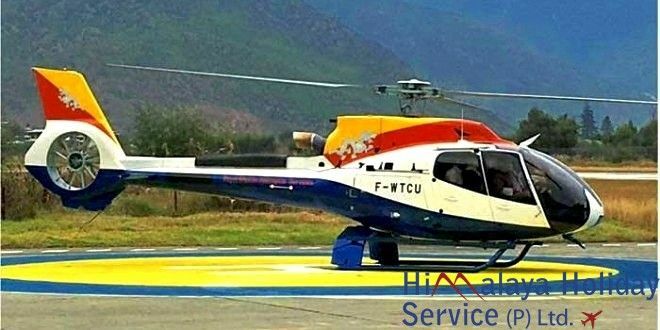 The helicopter can accommodate up to seven passengers, excluding pilot and will be operated by Royal Bhutan Helicopter Service. The government plans to use the helicopters for search and rescue, air medical evacuations, fire fighting, moving cargo, transport of VIPs and government officials, and possibly even for tourism, among others. The helicopter will be undergoing proving flights in the next few days as required by the Bhutan Civil Aviation Authority. Flights could occur to other parts of the country. 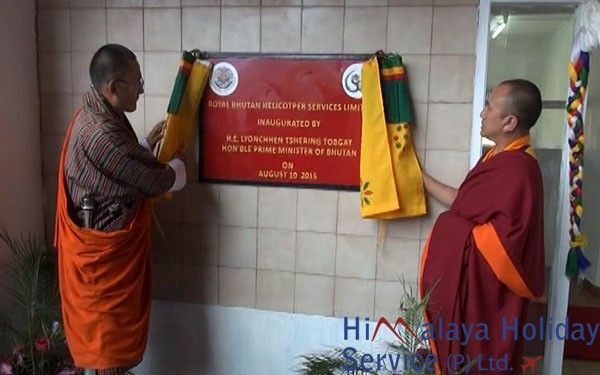 The Prime Minister, Tshering Tobgay inaugurated the office for Royal Bhutan Helicopter Services Limited at Paro Airport, yesterday. The state-owned Enterprise will however start its operation only from November 11 coinciding with the 60th Birth Anniversary of His Majesty the Fourth Druk Gyalpo. The Royal Bhutan Helicopter Services Limited is expected to receive its first helicopter on November 3 and its second one in mid next year. A chopper will cost around USD 3.65 M.
Speaking at the ceremony, the Prime Minister said besides being of great use during emergencies, the helicopter service will also come in handy for the tourism sector and even the government. CORRECTION: The government started the office for the Royal Bhutan Helicopter Services Limited and not the helicopter services as BBS had tweeted earlier. Errors regretted.